Adjudicator Andrew Goddard QC found in favour of the council’s claim that it had overpaid Amey, as the contractor had not carried out road maintenance work that the court found it was obliged to. In February, the court ruled against what it called Amey’s 'ingenious new interpretation' of the 25-year PFI deal it entered into in 2010. The adjudication applies to Amey Birmingham Highways Limited, the Special Purpose Vehicle (SPV), of which Amey is a minority investor. The SPV is contracted to Birmingham City Council to deliver the PFI project. Amey Birmingham Highways Ltd (ABHL) was 'deliberately leaving the defects in selected areas untreated' the court found, and had 'been carrying out works based on inaccurate inventory information'. In May, Amey's parent company Ferrovial reported it had been forced to set aside around £208m to tackle the possible losses from the Birmingham deal, which had been bogged in dispute since 2014. 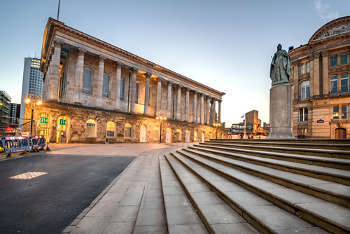 An Amey spokesman said: 'We have resurfaced 500 miles of carriageway – over one-third of Birmingham’s roads – and over 400 miles of pedestrian footway. We’ve also replaced 42,000 street lights, and over half of the city’s traffic signal systems. This is one of the most capital intensive projects in Europe. 'In 2018, we are investing additional resources, on top of the funds already in place to manage and maintain the network, to accelerate repairs after what has been an unprecedented winter. Birmingham City Copuncil would not comment as the adjudication process is confidential.